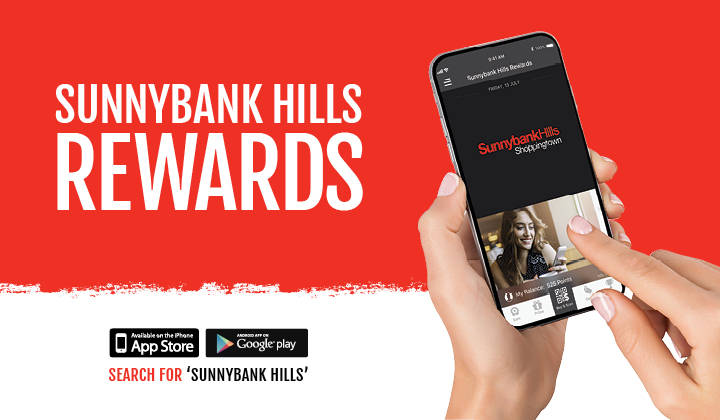 The Sunnybank Hills Rewards Loyalty App can help you make the most of your visit. Earn points every time you visit the centre and shop in a participating store. You will be able to use your points to redeem prizes, enter competitions and access exclusive retailer deals. you are set to go – it’s that easy! EARNING POINTS: Scan When You Shop! Purchase at any participating retailer to earn 10 points*. REWARDS: Great Rewards & Prizes! 3. Enter Competitions: receive entries for exclusive Loyalty app only competitions, or additional bonus entries for other Sunnybank Hills and Retailer competitions.